Will the official death count from Maria ever be accurate? Will Puerto Rico’s Official Death Count From Maria Ever Be Accurate? An accurate count helps us better direct aid. A damaged home is seen as people deal with the aftermath of Hurricane Maria on Sept. 25 in Toa Baja, Puerto Rico. This story is republished with permission from the Conversation. However, estimates reported by CNN, the New York Times, and others tell a very different story. I was part of the team of demographers that developed the first independent estimates of excess deaths, with the objective of informing the public. Like the estimates published by those media outlets, our numbers contrasted significantly with the official figure. The most shocking results from our study suggest that deaths in September and October were 25 percent above the historical patterns—with about 1,085 added deaths following the hurricane. How many people died in Puerto Rico due to Hurricane Maria? The official count is at 64, but studies by other researchers and media outlets estimate many hundreds more. 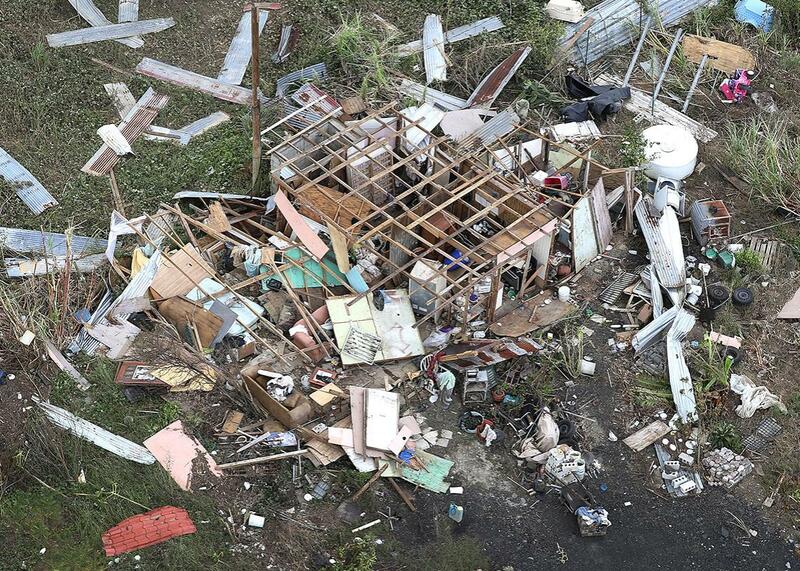 In Puerto Rico, deaths are recorded using international classifications. This system doesn’t capture all of the circumstances surrounding a death that happens following a natural disaster. The death may have been accelerated by some conditions—like difficulty communicating during the emergency. “Indirect deaths” may be associated with any unsafe or unhealthy conditions before, during, and after the natural disaster. For example, Hurricane Maria destroyed Puerto Rico’s power grid. So, someone whose life depended on a dialysis machine would no longer be able to use one. In official certificates, their death would be classified as kidney-related and not attributed to the hurricane—even though the death was accelerated by lack of resources required by the patient to stay alive. Under the international system, a death resulting from these circumstances would be classified as a result of cardiovascular conditions and would not be attributed to the hurricane either. The review is a step in the right direction. But will the official count change? Probably not. As of Wednesday, the government was requiring families to visit the Department of Public Safety and to report if a death was related to Hurricane Maria. But merely revising the causes of death is not enough to determine whether that death was indirectly related to Hurricane Maria. Those in charge of the death count review will need to interview families and ask them about the conditions surrounding the tragedy. Following the impact of hurricanes Harvey, Irma, and Maria, the CDC published guidelines that state and territorial governments should follow to determine whether a death is related or not to a specific event. Following these guidelines could provide the government of Puerto Rico with a more realistic death count. It remains to be seen whether the new count will follow this protocol. An accurate death count could be used to inform policies, supplement requests for aid in the national and international context, and inform local governments as they prepare for future natural disasters that may impact Puerto Rico, particularly extreme weather events now that climate change is expected to worsen. Hurricane Maria was the first storm to destroy the power grid in Puerto Rico. Puerto Rico is six months away from the next hurricane season, and experts predict it will be an active one. Finally, minimized figures could weaken efforts to provide relief to communities affected by the hurricane at the local and international level. Given that Puerto Rico does not hold political power in Congress and that the only representative does not vote, it’s crucial to convey the reality to all elected officials, so that their votes align with the necessities of those who are still in Puerto Rico.